So you have been in an accident, yeah? You know how much of a hassle it is in a residential and privately owned vehicle. Now imagine how much worse it is when you are in a semi-trailer and you get into an accident. Or worse, two semi-trailers get into a collision, through no fault of their own. The insurance premiums sky rocket and the financial mess that comes with from your company, the potential lawsuits and everything else that makes one of those situations happen is just nightmarish. 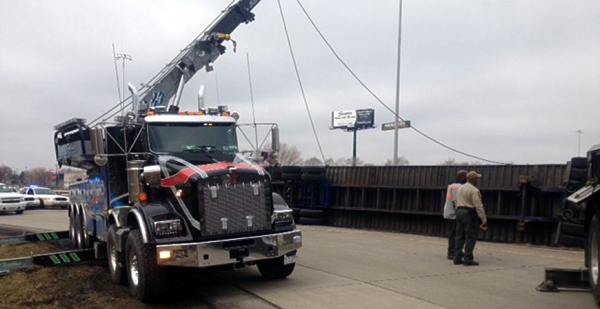 Wes’s Service Towing is unique in that we have more than 1 semi tow truck that is capable of handling huge accidents and big rig collisions. Next time you need help – be sure to call Wes’s Service Towing – we have the semi tow trucks you need when you’re in trouble.